Take advantage of VoIP without giving up reliability. 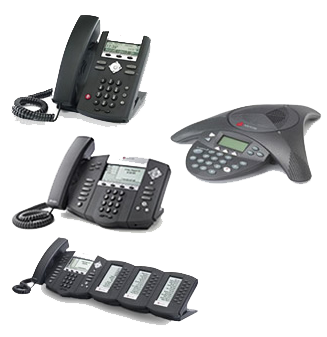 With a hybrid system from THG, you can utilize your existing phone lines as well as internet phone services. THG is one of Pittsburgh's oldest VoIP vendors. With over 6 years of experience in deploying VoIP technology, we can provide a top quality solution and better prices than most other vendors. Only THG gives you the flexibility of choosing from multiple hardware solutions including the incredible Polycom Soundpoint IP system with built-in hands free speakerphones using the same Acoustic Clairty technology used in their SoundPoint conference phones. A cost effective 10 station solution from THG with full-featured Polycom phones at each desk for as little as $3000* installed. Plus, a hybrid system from THG can keep saving you money by taking advantage of VoIP calling rates.